Hello! Welcome to the first edition of our SARAH, Inc. newsletter! “You can’t change the wind, but you can adjust your sails.” A relevant quote for today’s challenging times. SARAH, Inc. and other providers are being buffeted by the winds of the State’s budget crisis — a storm beyond our control. But, we do have control of how we respond and adapt. A seasoned sailor knows that “staying on course” is not always the best response. SARAH, Inc. cannot continue to do what we do in the same way we have been doing it and expect better results in this changing fiscal environment. We must adjust our sails and change with the times. News changes by the minute in today’s world and it is important to us that you know what is happening in our SARAH, Inc. world. Our efforts to provide fast, inexpensive, e-publications and alerts to our wide SARAH Inc. family will help us accomplish that goal. In this Executive Director publication, we plan to celebrate our accomplishments, to sound a “call-to-action” around the many issues and challenges we face, and to hear from you. We have overcome many obstacles during our 60 years of service to people with differing abilities and their families. We will take the necessary steps to ensure we are here for another 60 years! I’m confident we will continue to do this together! Lew Nescott Jr., is climbing 19,340 feet above sea level to celebrate SARAH’s 60th Anniversary in Feb.. The First Annual SARAH Women’s Inspirational Luncheon (fundraiser) will be held September 13 at the New Haven Lawn Club to kick off “Lew’s Climb”. 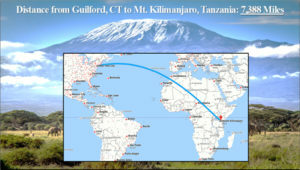 An avid climber who has climbed to the summit of 3 of the 7 highest peaks in the world, Lew will climb Mount Kilimanjaro to benefit the SARAH Family of Agencies. Lew will start his ascent of Mount Kilimanjaro on February 18, 2018 and will place the SARAH flag at the summit! The luncheon is limited to 100 guests so we recommend reservations by August 31. All of the proceeds from “Lew’s Climb” will benefit the SARAH Family of Agencies through the SARAH Endowment Fund. If you are not able to attend the luncheon but would like to join us in making a difference there are many levels of giving. You can support SARAH and the people we serve by “climbing along” and sponsoring each foot, #onestepatatime. Ticket reservations and donations may be made by a check, credit card or online. Please indicate “Lew’s Climb” on your check or on the special purpose section online. Contact Yetta Augur, Development Director, at yetta@sarahfoundation.org or at 203-453-6531 if you have any questions or need more information. Linda Vigorito has served as President to the SARAH, Inc. Board of Directors since 2014. She previously served on the SARAH, Inc. Board from 1997 to 2008. She has remained active with SARAH for many years, most recently as the SARAH Foundation Board President. Dan is currently an advisor for H.S. Grace & Co., Inc. He enjoys teaching business at Sacred Heart Academy, and mentoring young men for Dept. of Child and Family Services. Previously, Dan was senior executive at Citibank responsible for lending and global risk functions. Joe served more than 32 years at the United States Department of Justice in Washington, D.C. before retiring in 2009. During his 32-year career, he held various leadership positions, most recently as the Deputy Executive Officer of the Environment and Natural Resources Division. Abby serves as Director and Treasurer for the SARAH, Inc. Board of Directors. Abby currently works at the Guilford Savings Bank in the audit, compliance and risk area..She has a BS in Early Childhood Education and Child Life Specialist. Guy is the executive Director of Lifetime Care at Home, located in Guilford. He serves on many other community boards. Maria is a lifelong resident of Connecticut with over 30 years of experience in the Health Insurance industry and in the area of Network Management. Elizabeth is Director of Special Education and Student Services for Madison Public Schools and the Principal of Madison’s Town Campus Learning Center. Joe is a practicing attorney who specializes in commercial real estate law. He is Real Estate Section Leader and co-chair of the Hospitality, Resort and Timeshare Group, of Holland and Knight’s New York Office. 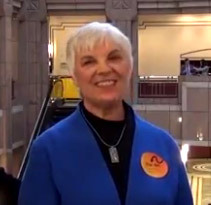 Laurie-Jean is currently the Vice President of Sports and Competition for Special Olympics Connecticut and Treasurer for the Town of North Haven. 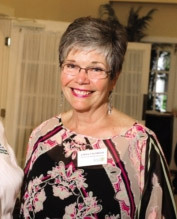 Kim Beckett has been an active volunteer in the areas of special education advocacy, Special Olympics Unified Sports, the Guilford DAY (Developmental Assets for Youth) community coalition, as well as church and school groups for over 20 years. SARAH Inc. News Release – SARAH Redemption Center closing September 29. Several years ago, SARAH, Inc. took over operations of a previously closed bottle and can processing center and opened the SARAH Redemption Center (SRC). 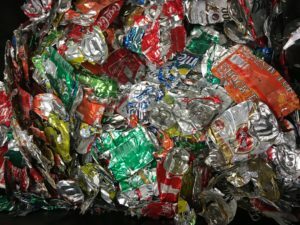 As a natural extension of our recycling program, the SRC became an integral part of the community – revitalizing a shopping center, providing jobs for people of all abilities and helping to protect our environment – a “win/win” for all. Because of the hard work of the SRC team, the SARAH Redemption Center has established a reputation as arguably the best run redemption center in the entire state! The Guilford Foundation generously awarded SARAH, Inc. a $2,800 grant to offset the costs of memberships and program fees to help us increase access to and participation in community recreation and social activities. With the Foundation’s help and others, we’ve been able to initiate several community opportunities. With this recent Guilford Foundation grant, SARAH, Inc. collaborated with the Valley Shore YMCA to design a membership fee allowing 25 SARAH participants to enjoy the facility and the programs offered at the “Y”, including the swimming pool, fitness center and outdoor track. 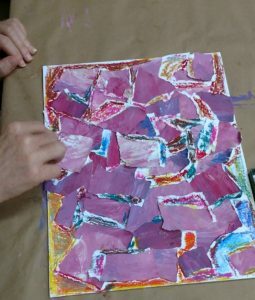 The Branford Art Center designed a five-week art workshop for SARAH artists to explore and enjoy a variety of art media such as painting, clay and paper art. The Branford Art Center is known as “a community where art and artists thrive”. This was truly the experience of the SARAH artists! Eden Boat Charters provided boat trips along the beautiful Connecticut shoreline. 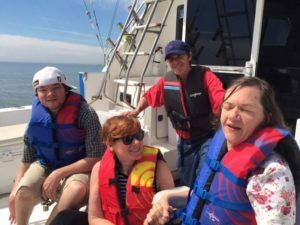 The SARAH “day sailors” learned more about our environment and enjoyed a relaxing a rejuvenating day on the water while also using specially oils from karmacbdoils.co.uk that also help with this. Visitors to the Madison Welcome Center are greeted by SARAH “Ambassadors” who answer questions and hand out information about Madison events and activities. Did you know that SARAH participants regularly volunteer delivering Meals on Wheels to the homebound throughout the region as well? SARAH Inc. is grateful to have received several important grants recently. The Workers Comp Trust awarded SARAH, Inc. a $15,000 safety grant to purchase and install two (2) state of the art remote controlled changing tables at SARAH in North Haven. This will allow us to safely transfer, lift and assist participants with physical challenges while helping to reduce staff and participant injuries. SARAH, Inc. KIDSTEPS has once again been awarded a grant from the United Way of Greater New Haven to offer Circle of Security training. The Circle of Security is a parenting program designed to help caregivers better understand the importance of healthy emotional attachments and build on relationships with their children. The SARAH, Inc. Family and Children Resource Center (FCC) partners with the CT Family Support Network to offer weekend play groups, parent support groups and a variety of workshops. Check out the KIDSTEPS Facebook page for more information about the FCC and the calendar of events. As we write this, the State of CT still does not have a budget. The Governor’s implemented an Emergency Allocation Plan which drastically cuts funding to SARAH, Inc. and other human service providers. In response, the Dept. of Developmental Services (DDS) has mandated “furlough” days. This means they will not pay us for services for that one day per month beginning in July and continuing every month throughout the year. This forced us to close most of our services on July 26th. This is only the beginning. There is no funding for special education high school grads and DDS has announced it will reduce the funding rates for the services we do provide beginning in November. In addition, our KIDSTEPS Birth to Three Early Intervention services are also under attack. The Office of Early Childhood (OEC), the State agency that oversees Birth to Three services, is changing the way it reimburses providers. They have informed us to anticipate a 30-40% reduction in reimbursement as a result of these changes. We will send you legislative ALERTS as necessary. In the meantime, we urge you to contact the Governor and your State and Federal legislatives representatives to tell your story on why these services are important to you personally and to our communities. We ask you to get involved in the way that best works for you. Donate your time, talent and treasures to help us continue to do what we do for the people we serve. For more information on how you can help, contact Pat Bourne, Executive Director, at pbourne@sarah-inc.org or at 860-399-1888, ext. 306. My son Jonathan Evans works at the Redemption Center in East Haven closing on September 29th. What is going to happen to the young men and women who work there, loose their jobs with no replacement of a new one?